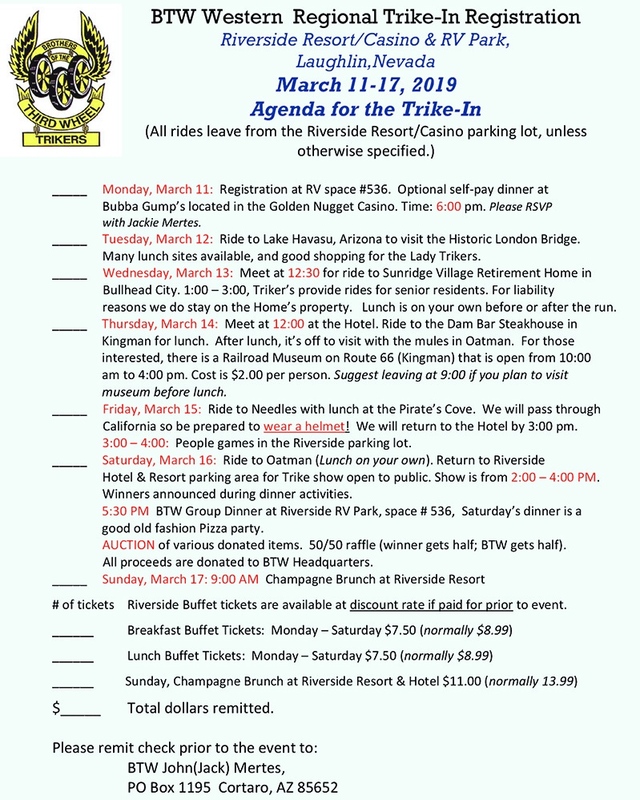 Make plans to join us for fun, friendship, rides, food and a good time for all. 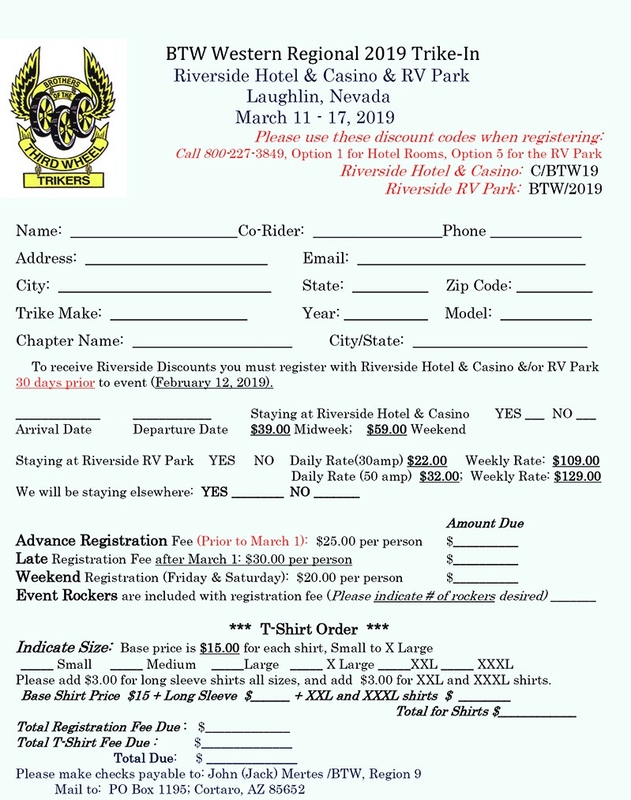 Please register with the Campground 800-227-3849; option 5 for RV sites, and the Hotel 800-227-3849; option 1 for Rooms. indicated that they are filling up rapidly. RV rates are $109 for a week, and $22.00 per day (30 amp)Fri-Sun. RV rates are $129 for a week, and $29.00 per day (50 amp)Fri-Sun. Contact Jack Mertes for a registration form. Jack Mertes, Region 9 at jackregion9btw@dakotacom.net, or Email or Text me at (520)490-2463.